DWS3-1.2-8 Multi-belt Dryer is a continuous drying equipment for batch production. It is suitable for drying the raw materials that are in the shape of piece, strip or granule and that are good in air permeability. Especially, DWS3-1.2-8 Multi-belt Dryer is suitable for the materials, with high water content, which cannot be dried under high temperature, such as dehydrated vegetable, catalyst, traditional Chinese medicine decoction pieces. DWS3-1.2-8 Multi-belt Dryer owns many advantages, such as fast drying speed, high evaporation intensity and good product quality. Multi-belt Dryer is continuous drying equipment for batch production. It is suitable for drying the raw materials that are in the shape of piece, strip or granule and that are good in air permeability. Especially, it is suitable for the materials, with high water content, which cannot be dried under high temperature, such as dehydrated vegetable, catalyst, traditional Chinese medicine decoction pieces. The machine owns many advantages, such as fast drying speed, high evaporation intensity and good product quality. Multi-belt Dryer is used for drying the materials that are hard to be dried, in mass production. The equipment structure is compact. It covers a small area. The machine is easy to operate, convenient to maintain and steady to run. It is widely used in chemical, metallurgical agent, foodstuff and packaging industries. Multi-belt Dryer is continuous drying equipment for batch production. Multi-belt Dryer is suitable for drying the raw materials that are in the shape of piece, strip or granule and that are good in air permeability. 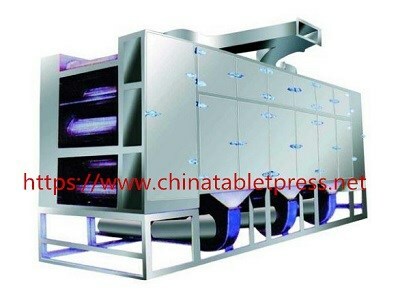 Especially, Multi-belt Dryer is suitable for the materials, with high water content, which cannot be dried under high temperature, such as dehydrated vegetable, catalyst, traditional Chinese medicine decoction pieces. Multi-belt Dryer owns many advantages, such as fast drying speed, high evaporation intensity and good product quality.